Ok, I admit there are no peas in this soup (but there are broad beans) and needless to say I am not a princess. I guess I wanted to tempt you, ma bad. Essentially this soup is a kind of minestrone except when I think of minestrone I think of horrible thick, sludgy reddish stuff we used to get at school. This is a much classier affair, light and tasty. Last week I was away with old friends in Gozo, a tiny island in the Mediterranean. So quiet and beautiful. On walks in the area surrounding the farmhouse we saw little terraced fields; rows of broad beans, asparagus and spring onions all together in neat lines, baked by the sun. I guess my exploring of this little corner of “our pale blue dot” inspired me with this dish. It truly was a charming place; wild artichokes in the hedgerows, the clearest waters and outrageously good seafood. 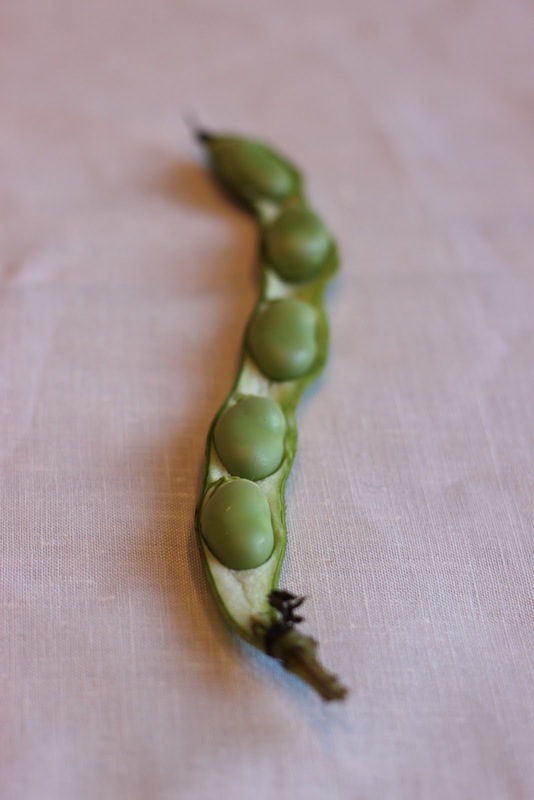 This is a nice little diner dish, it is really quick if you don’t bother peeling the broad beans. However, my perfectionist tendencies won over. I think I've been watching too much “Great British Menu”. It took me ages but personally I found it therapeutic. I'm sad that way. Any left over roast chicken it would make a welcome addition to this dish. In a pan, heat the heat stock up to a rolling boil. Add in the pasta, it will take about 8 minutes to cook. Add in the vegetables after about 5 minutes or so depending on their size. After 7 minutes add spring onions.